The Edmonds Cookery Book recipe for rich Christmas pudding (circa 1968) demands nearly half a kilo of raisins, sultanas, currants, chopped apple, mixed peel and almonds. The pudding has to stand overnight before being steamed for four to five hours and another two hours on Christmas Day. If the thought of steaming up your own Christmas pud leaves you feeling slightly exhausted, ready-made alternatives are within reach. Choices range from supermarket store brands priced at under $10 to posh puds imported from the UK costing more than $50. Like the Edmonds recipe, the staple ingredients in store-bought puds are vine fruits (raisins, sultanas, currants) and almonds. But proportions vary. 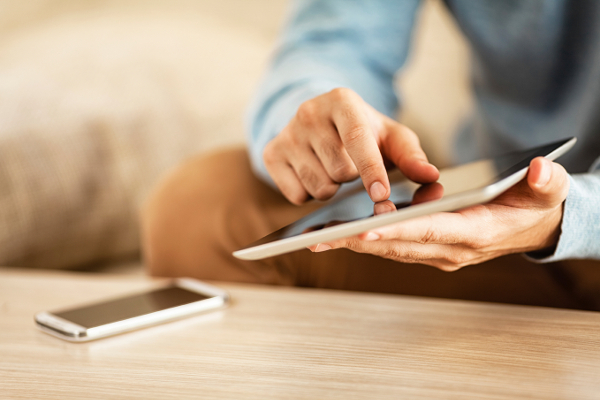 Of 10 products we bought, total fruit content ranged from 33 to 49 percent. Cheaper puds tended to offer less variety. Six of the 10 puds were baked in New Zealand. Three were labelled as traditional plum puddings: Aunt Betty’s, Homebrand and Pams. Sultanas and raisins were their main ingredients (Homebrand listed currants as well) along with lemon peel and reconstituted plum puree. These puds, the cheapest per 100g, didn’t contain almonds. Our taste test panel made their way through nine puddings. Almonds were also missing from the pricier Herb & Spice Mill Luxury Fruit Pudding. Its label described it as “packed with chunky pieces of fruit” but the fruit listed was limited to an underwhelming “sultanas and/or raisins” and lemon peel. Ernest Adams Rich Christmas Fruit Pudding and Kitchen Six Traditional Christmas Pudding were the only locally made puds we bought containing almonds. Of the two, Kitchen Six had the highest fruit content (44 percent) and the most variety, listing currants, sultanas, raisins, apples and citrus peel. Countdown’s Select Gold Champagne Pudding, imported from the UK, took the prize for the most fruit content (49 percent) of any of the 10 puds. As well as sultanas and raisins, the ingredients list included dried cranberries, apricots, glacé cherries, orange and lemon peel. The pud also contained almonds and macadamia nuts. 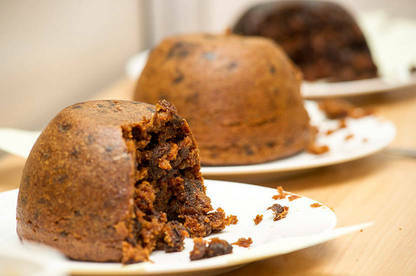 Fox’s Christmas Pudding and Matthew Walker Luxury Christmas Pudding, also UK imports, contained 37 percent fruit content. Both these puds were labelled as “suitable for vegetarians”. But eco-conscious pudding eaters may be unimpressed the puddings contained palm oil, an ingredient some consumers avoid because of the environmental damage being caused by palm oil production. 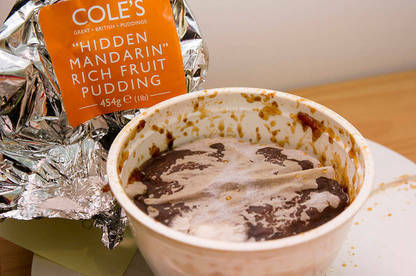 Palm oil was also listed as an ingredient in the Select Gold pud and in Cole’s Hidden Mandarin Rich Fruit Pudding. This mouldy pudding went back to the shop. The latter was the most expensive pud we bought, priced at $55. The label promised a pudding with a whole candied mandarin along with currants, raisins and sultanas. But when we opened the packaging, we discovered the pudding was mouldy. It went back to the shop. The pudding had a best before of June 2017. Our panel of dedicated Consumer staffers put the puddings to the taste test. Kitchen Six Traditional Christmas Pudding was the only pud to please the taste buds of all panellists. Its fruit and citrus content won compliments: “Nice! Lighter than other puds but heaps of taste. Good citrus”, “generous amount of fruit”. It’s available here. The cheapest pud in our selection, Countdown’s Homebrand Traditional Plum Pudding, failed to excite anyone’s palate. Panellists commented “Not very tasty. Bland. Can’t taste a lot of spice”, “mainly just raisins, not a lot of flavour otherwise”. Most panellists were more complimentary about Countdown's pricier Select Gold Champagne Pudding: “Very moist. A lot of fruit to cake”, “heaps of fruit – almost more fruit than pudding”. Note: The prices below are the prices we paid. Comments: "Pleasant spice", "lots of rind"
Comments: "Not much variation in fruit", "more cake-like"
Comments: "Full of goodies", "very fruity"
Comments: "Very sticky", "Raisins and no other fruit?" Comments: "Bland", "not a lot of flavour"
Comments: "Heaps of taste", "generous amounts of fruit"
Comments: "Really dense", "alcohol comes through"
Comments: "Peel flavour", "not quite as much fruit"
Comments: "Definite taste of alcohol", "heaps of fruit"